Joburg’s newest tourism recruits got to put their skills to the test by taking Miss World finalists on a tour of Alexandra as part of Fifa’s Football for Hope Festival. 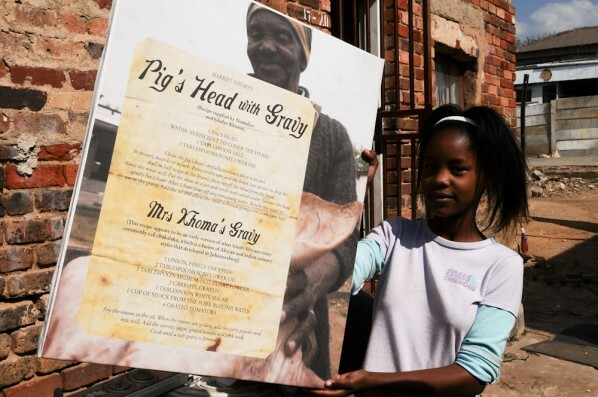 Alexandra, Alex for short, holds a treasured place in South Africa’s history as it was declared the first urban area in the country where black people could own land under a freehold title, hence its title “the Mother of all Townships”. Alex was also the first place Nelson Mandela rented a room when he moved to Joburg as a young lawyer in the 1940s. The house still remains here today and is one of the highlights of the tour. The Miss World finalists stopped here and chatted with locals – with some of the elders sharing their memories of when Nelson Mandela once lived there. Situated in the north of Johannesburg, Alex borders Sandton but the contrast between the two communities could be starker. Whilst Sandton is one of the wealthiest suburbs in both Joburg and South Africa, the sprawling township of Alex is characterised by scarcity of land, homelessness and a high-rate of unemployment. However in recent years, a programme has been initiated to rejuvenate the area, as well create job and education opportunities. With a seven-year timeframe, the Alexandra Renewal Project is a joint initiative between national, provincial and local government, the private sector, NGOs and community organisations. One of the projects is Alex San Kopano – meaning a partnership between Alex and Sandton – a community facility with a library, internet access, meeting facilities, plus a centre that helps locals start up their own businesses. The new tour guides also underwent their tour guide training here, under the mentorship of Rachell Phasa, one of Johannesburg’s most experienced and respected tourist guides. The collaborative initiative is being spearheaded by the Johannesburg Tourism Company, along with the City of Johannesburg 2010 Office and the Gauteng Tourism Authority. Its mission is to achieve shared and sustainable economic growth in the city, and to ensure that South Africa hosting the 2010 FIFA World Cup is done on the basis that it leaves a lasting legacy not only for football, but also for poor communities. The inclusion of youth in tours of their own township promises to leave a lasting legacy that will improve pride and perceptions about Alexandra Township as a tourist destination, not only to outsiders, but to them as residents as well. With Alex located just across the highway from Sandton, with its plethora of hotels, business and leisure tourism destinations, this is also a superb opportunity to promote short tours to Alex to locals and visitors, as an alternative to a longer day or half-day tour to Soweto. Also being held in Alex is the Football for Hope Festival 2010, an official event for 2010 FIFA World Cup. The festival is showcasing and promoting best practice in the field of Social Development through football. 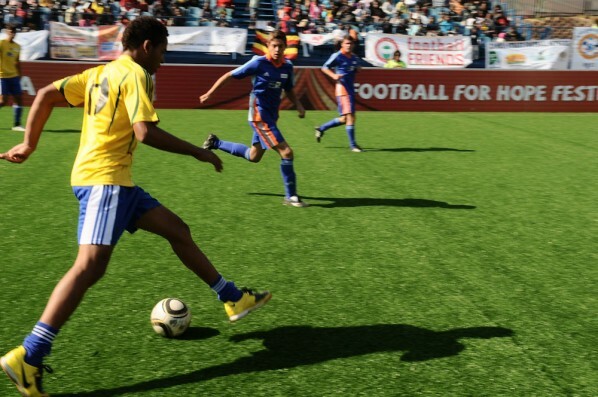 Held during the final week of the FIFA World Cup, 32 teams (comprising boys and girls between 15 and 18) from across the globe are participating in the five-a-side tournament. The Miss World finalists capped off their tour of Alex by appearing as guests of honour at one of the matches.